You can support Temple Beth Shalom by doing what we all love: shopping! 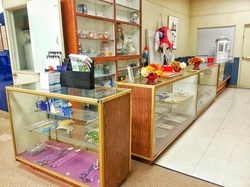 Temple Beth Shalom is home to many dedicated, creative and talented people. Our engaging and intellectual rabbi, Michael Samuel, has written some wonderful books that will give you a whole new perspective on your faith. Also, our congregants channel their passions and creativity into creating personalized arts and crafts that make unique and thoughtful gifts, and we even offer classes and workshops for all ages. No other book in human history has shaped the world's cultures and collective imagination like the Bible. The imagery, metaphor, and narratives speak directly to the nature of the human condition. Unique among the other creatures of the earth who live by primal instincts, mankind exists in a supernatural universe of myth and meaning. The Bible recognizes this truth with almost every story addressing the nature of our existential predicament. Certainly what is true for the Bible itself, is especially true for the book of Genesis; it is a book about our primal beginnings and the nature of our longings within the context of this physical world in which we find ourselves. For me, writing a book is a lot like giving birth to a baby –for we create from the depths of our own being and essence. 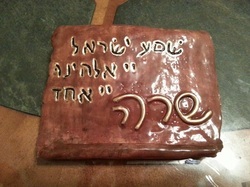 Creativity offers a remarkable pathway to discovering how God speaks and inspires our soul. 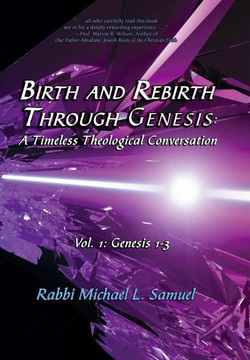 Birth and Rebirth Through Genesis is also available at Barnes and Nobles. 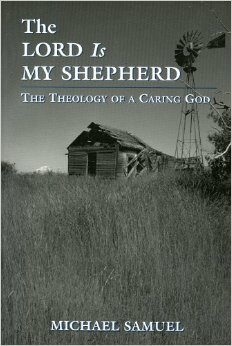 The Lord Is My Shepherd: The Theology of a Caring God is available now at Amazon.com! Timeless and inspiring, the shepherd metaphor addresses the fundamental relationship between God and man, speaking directly to questions raised by centuries of persecution. What is the nature of suffering in a just universe? How does suffering alter our perceptions of God? Rabbi Samuel explores questions of faith that are as old as the story of Job and as modern as the Holocaust. The image of God as a shepherd caring for his flock is well-known from the Twenty-third Psalm, "The Lord is My Shepherd." However, the concept of a God who nurtures and watches over people is often difficult to accept for those who have endured great tragedy, particularly for Jews living after the Holocaust. In this groundbreaking book, The Lord Is My Shepherd: The Theology of a Caring God, Rabbi Michael Samuel examines the image of God as a shepherd in Jewish tradition, contending that this image is essential to Jewish theology. By illuminating the challenges of modernity, and suggesting that the key to reawakening our sense of spiritual life lies in the ability to grasp the images that inspired our ancestors, The Lord Is My Shepherd offers contemporary seekers a great deal to ponder.